Neil M. Gunn is celebrated as one of Scotland’s foremost novelists of the 20th century. Less well known is that he was also a perceptive and meditative essayist and accomplished writer of short stories. Most of his short stories were written in the 1920s and 1930s in parallel with his early novels, which they influence and inform. 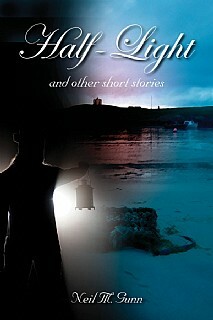 This collection draws some of its short stories from two previous collections but others are published for the first time. Although most are set against a Highland background, they are not in any way parochial; they touch on universal themes, which invite the serious reader to ponder and enjoy. Topics explored are: childhood and a sense of wonder; love in its deepest and most subtle sense; death as part of the cycle of existence and the place of land and sea in the development of those in search of greater self-understanding. The stories are attractive in their own right and have a freshness and immediacy that give a clarity and accessibility to the rich subject matter. They are also a gateway to a greater understanding of Gunn’s essential thinking on life and living. This collection of short stories is sure to be of immense interest to all those who appreciate classic Scottish fiction, good writing and collectors of Neil M. Gunn’s work.